That should prepare you to comfortably enjoy any beer fest in July. OK, perhaps I won’t wear all that cold weather gear to the next beer tasting extravaganza in the middle of summer. But it would have come in handy at the last one. The temperature in Big Sky, Montana, was in the upper 60s when I arrived on site last weekend with my IPA chugging companion. Not bad. It felt like a early spring day. But three hours later, as we drove away, Mini told us the temperature was 49. I would have guessed even lower. Blame it on the front that blew through that afternoon. Or blame the high altitude of Big Sky, which is perched at about 7,500 feet. Or blame the thunderstorms that dropped buckets of rain on the place. A quick thanks to P.T. Barnum for inventing the giant tent. Or was it Bailey?. Well, whomever came up with the idea to hold the Big Sky Brewfest in a couple of large event tents was brilliant. It might not have kept the attendees, volunteers, and brewery reps warm, but it did keep them dry, for the most part. 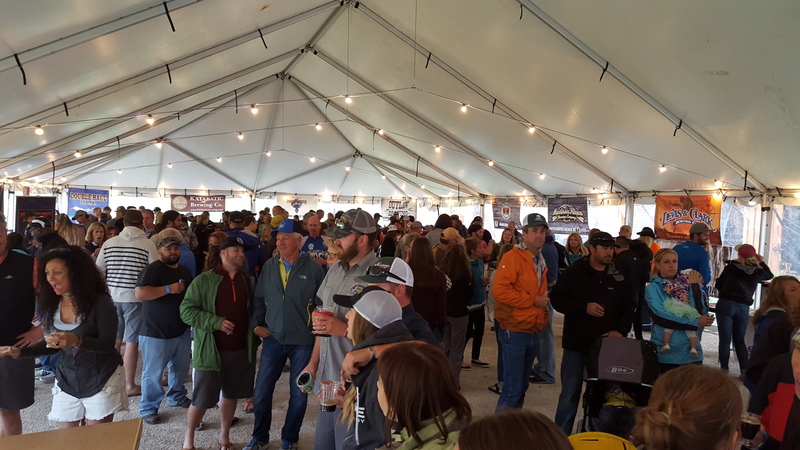 The craft beer fans at the Big Sky Brewfest decided close quarters meant warmer. Doesn’t it just look like everyone is dressed for a typical summer day? And for the most part, the beer was pretty good. We focused our attention on the tent with the Montana beers rather than the tent featuring beers from around the United States because we’d tried almost all the national craft beer brands before. And besides, the Montana beer tent was warmer. One look around, though, and you could tell this was a summer beer festival … not a single porter or stout to be found. Oh wait, there was one. Thanks to the folks at Bridger Brewing Co. for bringing the Ghost Town Coffee Stout or I would have been on an island surrounded by hostile IPA waters. It is one of the best stouts I’ve tasted so far from the Big Sky state. Gold — Double Haul IPA from KettleHouse Brewing Co. A nitro IPA that will knock your wool socks off. Smooth and easy drinking, this became my IPA slurping companion’s go-to beer all afternoon. Enough hop bite at 65 IBUs to meet the needs of almost any IPAer, it also checks in at a modest 6.5% ABV. Why not have more than one? 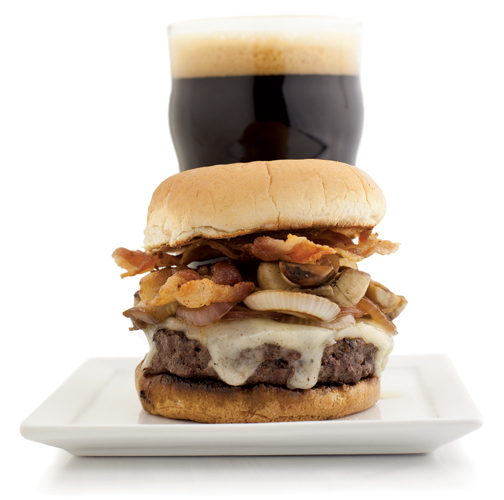 In addition to winning Gold from Beer-and-Burgers.com, this beer also captured gold medal at the 2008 North American Brewers Association, which is almost as prestigious. Silver — The Juice Double IPA from Madison River Brewing Co. This golden beer has a malty taste at the start that is quickly overtaken by a strong hop bite in the middle and end. No wonder. The brewers use three types of hops and four types of malts to create this delicious concoction that checks in at 9.0% ABV and a whopping 101 IBUs. Bronze — Soul Shine IPA from The Front Brewing Co. My IPA chugging friend could only say it was outstanding. Then again, everything we’ve tried from TFBC has been so far. And Joel and Josh from TFBC were great to chat with. Must visit the brewery in Great Falls, MT, sometime. Gold — Mountain Man Scotch Ale by TFBC. This is a delicious blend of caramel, chocolate, smoke (which usually I don’t like), coffee and toffee. A beautiful mahogany color with malty goodness throughout. Silver — Big Sky Brewing Co.’s Heavy Horse Scottish Ale. The brewery known nationally for Moose Drool brown ale delivered in a big way with this limited release version of a wee heavy Scotch ale. It is a deep red color with lots ofcreaminess. At 6.7% ABV, you can afford to have a couple. 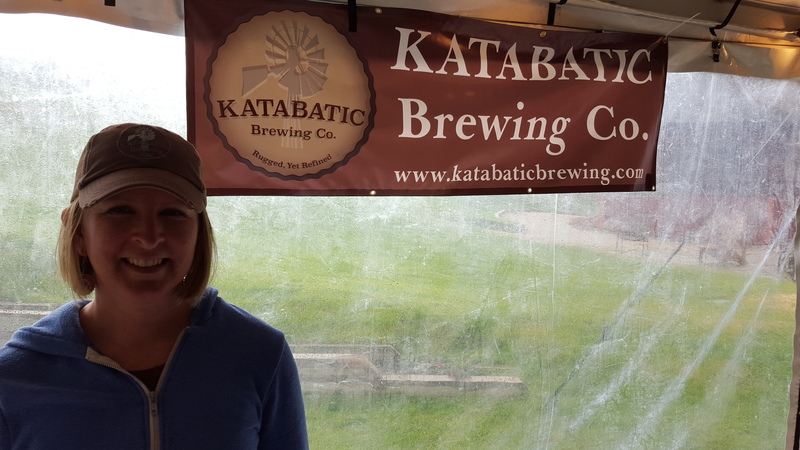 LaNette Jones, one of the owners at Katabatic Brewing Co., was on hand to serve. Honorable Mention — Lewis & Clark Back Country Scottish Ale. The beer won a silver medal at Great America Beer Festival in 2014, so it didn’t need another medal from Beer-and-Burgers to validate its goodness. I found it to be crisp without much maltiness. Good for a hot summer day. Which this was not, by the way. As the thunder and lighting raged above the mountains in the distance, the rain fell in buckets — seriously, the organizers placed buckets around the tents to catch some of the run-off in hope that the place wouldn’t turn into a muddy mess. And, of course, the temperature dropped. We’d brought jackets. Unfortunately, neither was down lined because, well, who thought one would need a ski jacket in the summer? So when it became too cold for us transplanted Texans, we bailed to the nearby tavern for a plate of nachos to soak up the day’s tastings. By the time we got to the car and hour later, the temperature was below 50. I knew those seat warmers in the Mini would come in handy in Montana. I just didn’t think it would be in July. This entry was posted in Beer related and tagged beer, Big Sky, brewfest, craft beer, craft breweries, festival, Montana craft breweries. You know how when you read a fortune cookie it’s always funnier when you add “in bed” at the end. So if your fortune read “You are an inspiring individual” you would say “You are an inspiring individual … in bed.” Or if it said “You are good at multi-tasking” you would say “You are good at multi-tasking … in bed.” And you get some good ones like “Everyone knows you are outstanding, in bed” or “You will get a raise based on your performance, in bed.” And so on. Well, I’ve decided that since I’m new to the state of Montana, I’m going to add “in Montana” to the end of almost everything that I say. Sort of like how in The Office they always say “That’s what she said” a lot of the time. So today I’m going to my first beer festival … in Montana. It’s going to be at Big Sky Resort, and it will be the first time my IPA-swilling friend and I visit that area, in Montana. Brewfest 2015 is expected to feature 16 breweries from Montana, and another half-dozen or so from around the country. But really, when you’re hanging out in the mountains of Big Sky and tasting beer, does it really matter how many breweries are present … in Montana? I’m particularly looking forward to trying craft beer from breweries I’ve never tasted before (in Montana). These include Lone Peak Brewery from Big Sky, MT, UberBrew Brewring Co. in Billings, MT, Draught Works Brewery from Missoula, MT, Great Northern Brewing Co. out of Whitfish near Glacier National Park (in Montana), Flat Head Brewering Co. from some place named Big Fork (in Montana? ), Katabatic Brewery in Livingston which I know is just 30 minutes east of me (in Montana), Bowser Brewing Co. from Great Falls, MT, and Upslope Brewing Co. out of Colorado … in Montana. This is the 10th year that Big Sky has hosted a beer festival, and according to the resort, there will be a band playing soul-funk music, bbq brats, and a burger bar. So I’m looking forward to my first beer festival, in Montana. Who knows, maybe I will get a raise based on my performance. This entry was posted in Beer related and tagged beer, craft beer, craft breweries, festival.